Dravid’s name was deleted from his old Indiranagar constituency after he changed his residence last year. Rahul Dravid will not be able to cast his vote for the upcoming 2019 Lok Sabha Elections as his name has been deleted from the electorate list. It is ironic keeping in mind the fact that the billboards across the state are carrying Dravid’s face on them is requesting people to cast their vote in the upcoming election on April 18. In 2018, Dravid moved houses and got his name deleted from his old constituency in Indiranagar. However, his name was not added in the new constituency list where he is currently putting up before the deadline. The former cricketer’s brother – Vijay Dravid had submitted the required documentation for deletion of names from the list. Post that, Dravid did not fill the form to add his name in his new constituency. The BBMP Commissioner N Manjunath Prasad also clarified that the while the documents for name deletion had been submitted, the documents for inclusion can only be submitted by the voter himself. “Our officials visited his house twice, but we were not allowed inside. We were informed Dravid is touring abroad and there was no message from him to include his name in the voters’ list,” Mathikere sub-division Assistant Electoral Returning Officer Roopa was quoted by Times of India. “Rahul Dravid was in Spain, but was eager to vote. Unfortunately, his name got deleted from the Shantinagar Assembly constituency,” Basawaraju Magi, the Domlur sub-division Assistant Electoral Returning Officer said. The report also suggests that Dravid is himself responsible for this as he failed to submit the Form 6 meant to re-include one’s name in voters’ list. “The confusion appears to have occurred when Dravid’s brother Vijay submitted Form 7 (for deleting names from voters’ list) on 31 October, 2018 mentioning that Dravid and his wife Vijeta had shifted to Ashwathnagar in RMV Extension from Indiranagar”. Dravid’s brother Vijay reportedly submitted Form 7, meant for deletion of names from the voters’ list, when Rahul shifted to his new home in RMV Extension. 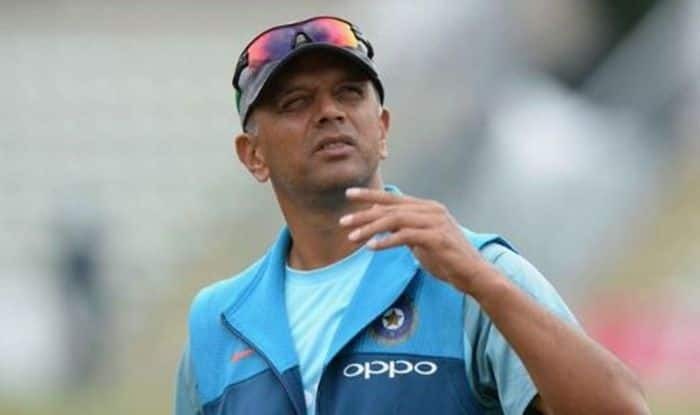 An officer from the Mathikere sub-division AEO’s (Assistant Electoral Returning Officer) office said that their officials had visited Dravid’s new home twice but were not allowed to meet anyone. The officials were repeatedly told that Dravid was abroad and that they had no information “from him to include his name in the voters’ list. According to election rules, while any family member can submit Form 7 meant to delete a name, Form 6 must be submitted by the concerned voter for the inclusion of his/her name in the voters’ list.